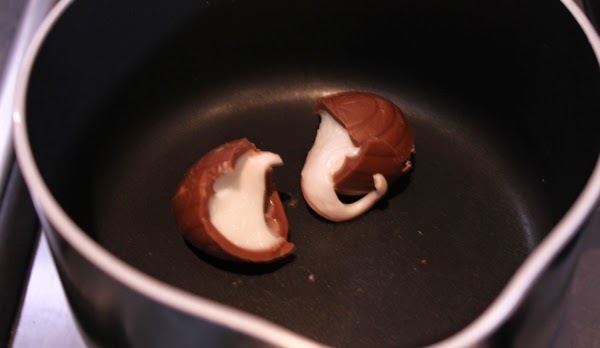 So, when I was making my giant Mini Egg Nest the other day I suddenly wondered whether you could melt crème eggs and use these instead of regular chocolate ? You have to be really careful though and melt them super slowly. They also don't melt as thinly as chocolate and once it's melted it kind of clumps together. Sorry I didn't get a picture I was concentrating too hard not to burn them ! 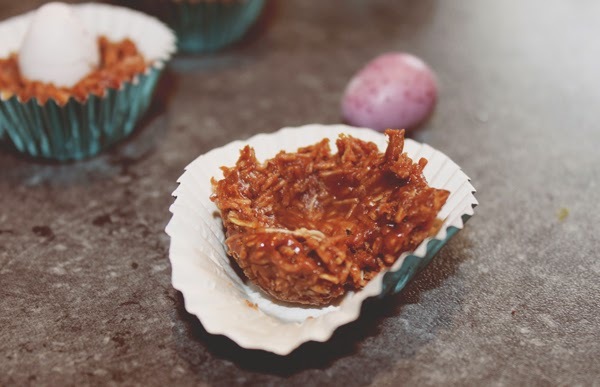 Melt the crème eggs slowly, then add the crumbled shredded wheat to the mixture and mix it all together. 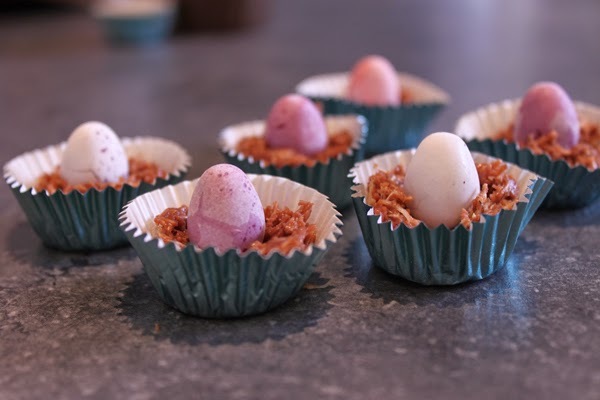 I used these gorgeous little Easter coloured baking cases - you can get similar ones from Iced Jems. 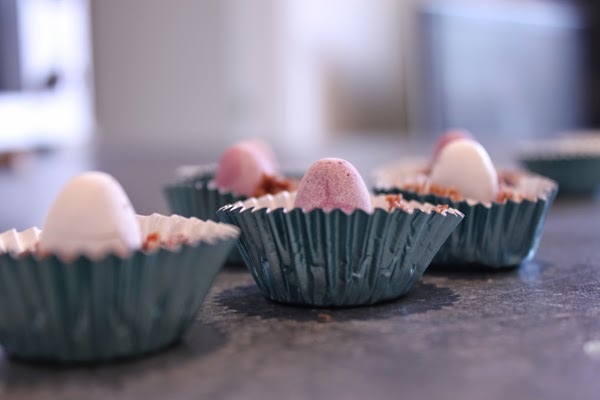 Pop a teaspoon of mixture in to the case and pop a mini egg in the middle of the mixture. Perfect for your Easter Celebrations, making with the children or just to devour yourself (like I may have done)!